At present, with the increasing attention to food quality and safety, chromatographic analysis technology is increasingly used in food quality and safety testing, especially in the field of agricultural product testing, chromatographic analysis technology has been widely used. In China, a large number of agricultural products (other chemical products, organic acids, etc.) are detected every year by liquid chromatography and gas chromatography. 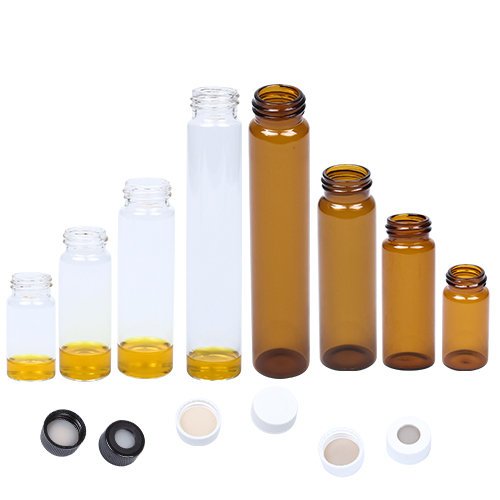 Due to the large number of samples, a large number of headspace bottles need to be cleaned during the test, which not only wastes time, but also reduces work efficiency, and sometimes there is a case where the test results are deviated due to the cleanliness of the cleaned Sample Vials. The headspace chromatography sample bottle is made of glass and is rarely made of plastic. Single-use injection bottles are costly, wasteful, and pollute the environment. Most laboratories use the sample bottles for cleaning and reuse. At present, the main methods used in the laboratory to clean the sample bottles are to add washing powder, detergent, organic solvent and acid and alkali lotion, and then brush with a custom small tube. This conventional brushing method has many disadvantages, the detergent and water are used in a large amount, the washing time is long, and it is easy to leave a dead angle. If it is a plastic injection bottle, it is easy to leave a brush mark on the inner bottle wall, which takes up a lot of human resources. For glassware with serious lipid and protein residue contamination, alkaline lysate is used for cleaning, and good results are obtained. 5. Pour the soaked methanol back into the original glass bottle and continue to use it next time. The soaked bottle is washed with tap water, then rinsed with ultrapure water for 2-3 times, rinsed and dried. The above content is about Wide application of chromatographic techniques leads to headspace bottle cleaning I hope it will help you!